Replies: 49 (Who? ), Viewed: 45557 times. #1 1st Jun 2015 at 7:14 AM Last edited by lidiqnata : 13th Jun 2015 at 6:49 AM. Thank you for participating in our May monthly theme. 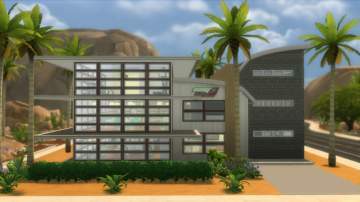 It's 1rst of June, so it's time for a new theme - "Maxis Makeover". There are some additional rules we need you to follow in order to participate in this month's theme.The reason - there's a thin line between real edits, what's allowed and not, so in order for them to qualify, please follow these simple rules. must include(all or some): extensions to the building, added floors(levels), change of roof styles, adding in driveways, refreshing new indoor/outdoor furniture,edits of the floor plan.The lots must be changed in a way,but still to have something left of the original lot. About neighborhoods - significant changes to terrain, completely new/edited (as pointed above) lots. This means that you can build a completely new house to match an existing neighborhood. 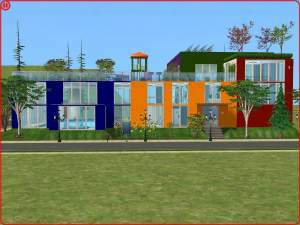 Building a lot, with VeronaVille theme for instance, will be accepted as well. 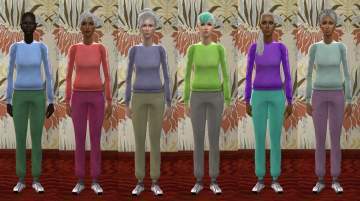 Maxis recolors: anything here is allowed - time to put that brush into action and add some new colors and textures! 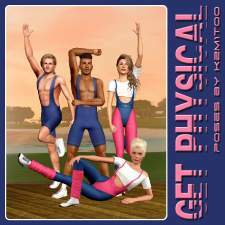 Conversions from all games to all games(ts2,ts3 and ts4)is allowed, just remember to do it right - see tutorials for help(don't forget the fat/pregnancy morphs). Age and gender conversions, combining Maxis meshes and creating a new ones is also fine. Editing an Expansion/Stuff pack mesh and making it base game must include significant changes to the mesh as per Creator Guidelines . Making default overrides are welcomed - just make sure you find suitable recolors/meshes for that! CAS and face templates are encouraged as well - make sure you credit all and test well! 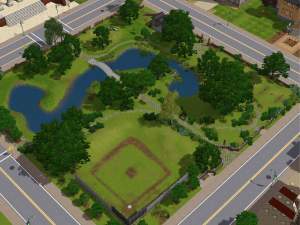 Re-worked default sims in all games apply here. 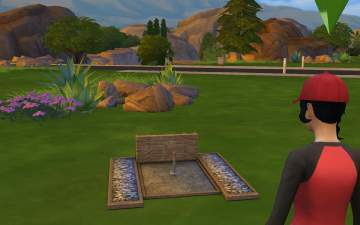 Townie sims are included here too; Adding new breeds or editing the old ones to make them more realistic apply for games with Pets as well. 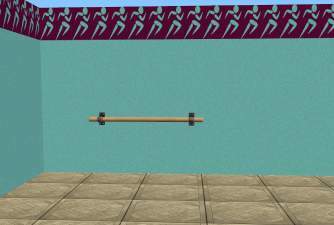 Fixing, finding lost maxis meshes and making new additions in sets: As we know, the games have lots of single items,that just need to be parts of sets or in worst case - found. So we hope you find the time and dig deep into the games and have fun, while participating in our new theme! Please,when you upload an edit,show what it used to be before(comparison shot),so we can clearly see what has been made-over. Only uploads that are uploaded before the end of June will receive an achievement sticker (this includes 30th) - anything uploaded after that date will not compete. We will look at the date it has been uploaded to the queue, don't worry about waiting times for moderating. Tag your upload with this tag:thememaxis. This way it is much easier to keep track of uploads and we know that you are participating in the monthly theme. 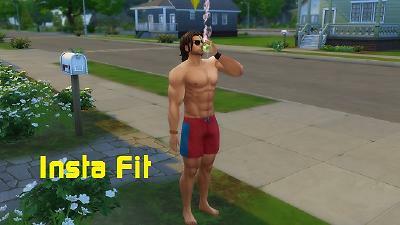 simmythesim Insta Fit - Insta Weak v2.1! lauratje86 Protein Shake Advertisement Posters - Featuring Hall Of Famers! Those who haven't receive a sticker yet(not in the queue) - post here. If we made a mistake of some sort - comment here,so we can edit it. Happy simming! So a lot has to have both an extension to the building and added floors or just one or the other? Part of any lot makeover I have done is to try very hard not to change the footprint of the lot to keep an essence of what it was. I did that with the one I uploaded, Brandi's trailer and no one said it was not enough. I take it that is just for this theme and not what I now need to do for lots outside of this theme? Makes me wonder if I should try a recolour, tried it once, didn't look good. Keeping the footprint is fine,but we need additional changes to the lot itself. 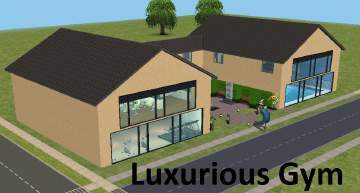 For instance - adding new levels,garages,additional rooms,expanding lot space with gardens etc. As for lots outside the theme - everything is permitted as usual - the rules apply for the uploads,parts of the monthly theme only. We know there are going to be clarifications,so don't hesitate to ask anything! These themes are great at making me dust off old projects that didn't get finished. Thanks for that This'll be a fun one, I think. 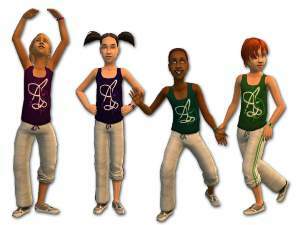 Looking forward to see all the maxis recolor people make. 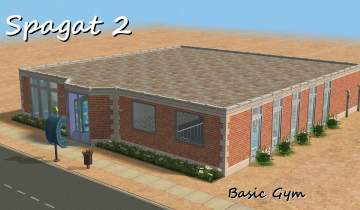 [*]Edits of existing Maxis houses: must include extensions to the building, added floors, change of roof styles, adding in driveways, refreshing new indoor/outdoor furniture. How many of these things have to be included? All of them? Just some of them? 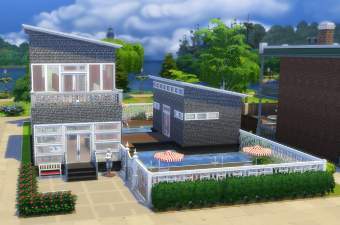 Would an edit to a Maxis residential lot that turns it into an apartment, changes the roof structure and the wall coverings, alters the floorplan, adds suitable furnishing and changes the landscaping outside (and possibly uses the Lot Expander to either expand or decrease the garden area) be acceptable, or would the actual building need to be extended as well? As i pointed out - edits must include significant changes to the lot - the idea of turning a house into an apartment building itself is significant enough. The things we mentioned could be used as parts or all,just what suits your idea the most. Just one stupid question - how important is a driveway? It is not that important Add or takeaway to your heart's content! Since this is the begining of the month - why not give some recoloring a try? If you're a pose maker,that means you have basic object knowledge,so perhaps some time in the tutorials center would help you advance ? As for the house floors - yes,they mean levels,stories. Usually, making a starter house into a family home may require additional rooms/stories. 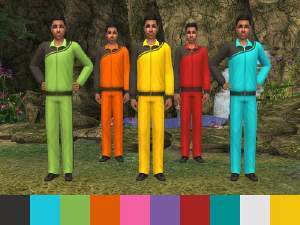 Not sure what would constitute a "recolor" for TS3? And was that a "no" to townie make-overs? No, no, no! This theme...it's too hard to resist! 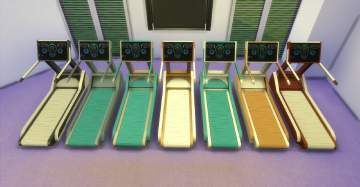 Recolors or default replacements of Maxis content? Isn't that all I know how to do? Ack. Now part of me is interested in finally redoing my skin defaults again, while a little voice in me is screaming, "NOOOO!" #14 1st Jun 2015 at 4:41 PM Last edited by lidiqnata : 2nd Jun 2015 at 7:24 AM. 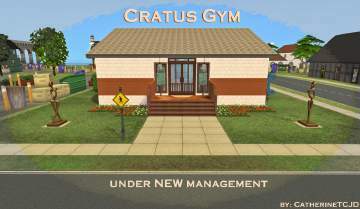 Re-worked default sims in the games could be great additions to the game. 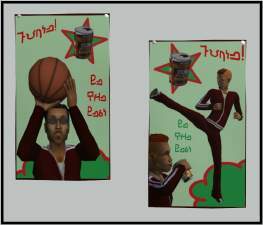 Editing sims is really catchy, but done right is fine and can be accepted. I'm expecting great things from you for this theme,like you said you missed the last,so put those painting skills into action! 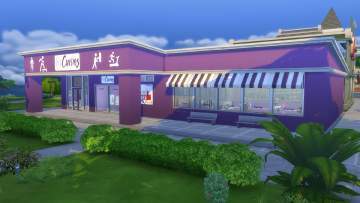 The roof is different, inside decor is changed, bathrooms reconfigured, and the pool area is changed. But the outside "look" of the thing is very much the same. Is that OK? #17 1st Jun 2015 at 10:22 PM Last edited by joandsarah77 : 1st Jun 2015 at 10:33 PM. See that is what I do when I do a makeover and was told no. I was told I must extend the building or add floors/stories. But I don't do that, because that is changing the shape of the building which is something I don't like to do, otherwise it bares no resemblance to the original lot. Exactly Cat. That was what I was trying to ask and my take on the answer is no, we must extend or add on another floor. I don't know what to do. :/ I don't want to upload a makeover that I am personally unhappy with just to get a sticker. I will take another look at recolouring but if that doesn't work I think I will step out. That means you are good to go Jo! You can do a lot makeover exactly the way you like to do them. If you are sure Karen. lidiqnata seemed to be saying we must extend the house or add another level to it. I was thinking of making over a couple of the smaller bin houses, shrinking the lots to make some nicer starters, although it's probably already been done. I love this theme. I've been working on a project that fits too so maybe this will give me the incentive to finish it. #22 2nd Jun 2015 at 7:34 AM Last edited by lidiqnata : 2nd Jun 2015 at 12:17 PM. 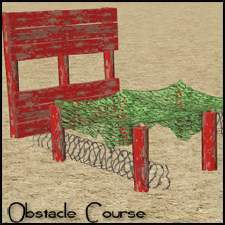 The general idea for this theme is to either improve your work or push you little further into the depths of the games,making new things. Since the only thing here is - if you upload to the theme - you get a sticker,we decided to make things more interesting. Thank you! 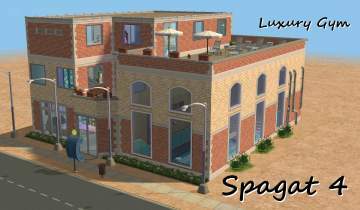 It's not that I can't add a level or extend, it's just something I don't like to do to Maxis made houses, or pre-made sims, I like something of what/who they were to still be there, but hopefully given a glamour makeover. I might still try my hand at recolouring. #24 2nd Jun 2015 at 1:06 PM Last edited by marka93 : 2nd Jun 2015 at 7:27 PM. 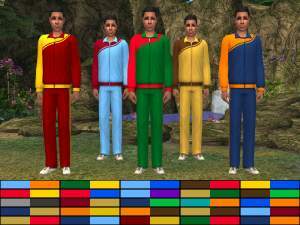 What about converting recreating Life Stories hood for the Sims 2 base game with just the playable sims cloned with SimPE using only base game/items making it look as close as possible. 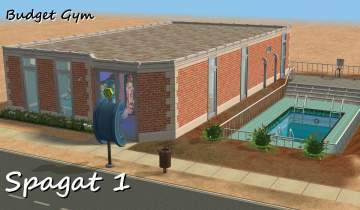 This is a ground up recreation of Riley's Story from Life Stories game using only the base game to make. 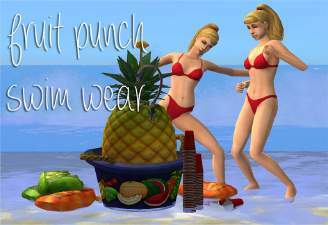 Just wondering - are Sims 4 boots on a Sims 2 bottom clothing mesh allowed?